Hey, loyal readers, first-time readers and suspect readers wondering "who is this dufus and what's his deal with Keira Knightley in hats?" Once again, that time of the year has arrived. 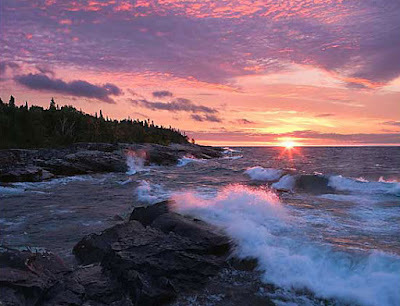 Today I'm off to unwind, relax, recharge and smile brightly and widely while consuming coffee in 40 degree temperatures on the north shore of Minnesota and Lake Superior while partaking in a weeklong Internet sabbatical. But don't fret! Cinema Romantico will not be going dark in my absence. We have several posts set to go up automatically, posts we have refrained from posting for reasons I don't really know. There will be a pair of reviews, a traditionally served Friday's Old Fashioned, an obligatory wonky list, and a long winded diatribe about Matt Damon's brilliance as a comic actor, a piece I'm not entirely sure I got right so, hey, why not just toss it up here while I'm far away? I'll catch back up with y'all just in time for my "Spectre" review to have been rendered irrelevant due to the passage of (Internet) time.